Today is the 6th annual Rare Disease Day, which is a day to bring awareness for all rare diseases/conditions. The theme for this year is “Join Together for Better Care” and I cannot think of a more fitting goal this year. The more people we can get to come together and be aware of different conditions, the better we will be able to serve individuals through medical care and funding for research. While the conditions may vary, the experiences for those with rare diseases is very similar for all who are affected. Imagine going to the doctor and having to explain everything a doctor SHOULD know just so they can treat your child for an illness or operate on your child safely. This is a reality parents of children with rare disease face day-in and day-out. When we go to the doctor and I tell them that Braxton has Rubinstein-Taybi Syndrome, the usual response from medical professionals is something like, “It probably won’t surprise you that I don’t know what that is.” And when Braxton has surgery, I have to educate the anesthesiologist and the nurses about the possible complications Braxton could face while under anesthesia. It is sad that we live in a society where parents are more educated about conditions than the very doctors they trust with their children. We have made so many advancements in technology, but it is impossible for medical professionals to keep up. Because many people don’t know about RTS, I can’t simply choose another doctor who is familiar with the condition. With over 7,000 rare diseases, it’s no wonder that doctors are unable to keep up. They only learn about conditions as they come in contact with them through their patients. But, we can all help this situation. 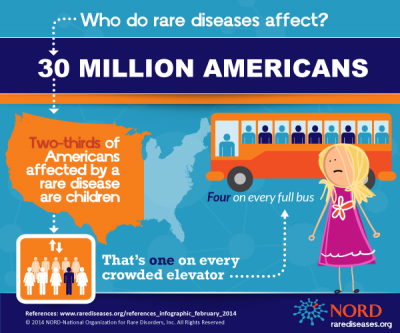 As YOU learn about rare diseases, YOU can help spread that knowledge. Carry some facts with you and when you have the opportunity to share the information, do it! It’s true that simply changing your profile picture does nothing for Braxton’s immediate care, but when you change your picture and provide information about his condition, then you are teaching others and that does help us. When you share our story, like our photos, comment on our Facebook page, that reaches others and at least exposes them to RTS. The more people who know about RTS and other rare conditions the more likely it is these patients can find quality care and money to fund research opportunities. Money is what is standing in the way of finding cures for children who face life threatening illnesses. Braxton’s condition isn’t terminal, but there are countless children who are fighting big battles just hoping for cures. Rare Disease Day provides an opportunity for these conditions to be known and hopefully find people to support them. Rare Disease Day is an opportunity for awareness. Why does awareness matter? Take a look at this graphic from Siren Interactive about the diagnostic journey. Did you know that on average, it takes 7 years for a proper diagnosis of a rare disease? SEVEN YEARS! Awareness matters for those who are just waiting for answers. There are children with Braxton’s condition who were diagnosed at birth or shortly after, and then there are some who weren’t diagnosed until years later. If more people knew about RTS, these children would be diagnosed right away and the proper medical care could begin immediately. We could have known from the beginning and I wouldn’t have had so many sleepless night wondering if Braxton was going to live. This is why awareness matters. If we knew early on I could have plugged in to all the resources I now have. We have to find a way to speed up the diagnostic process. 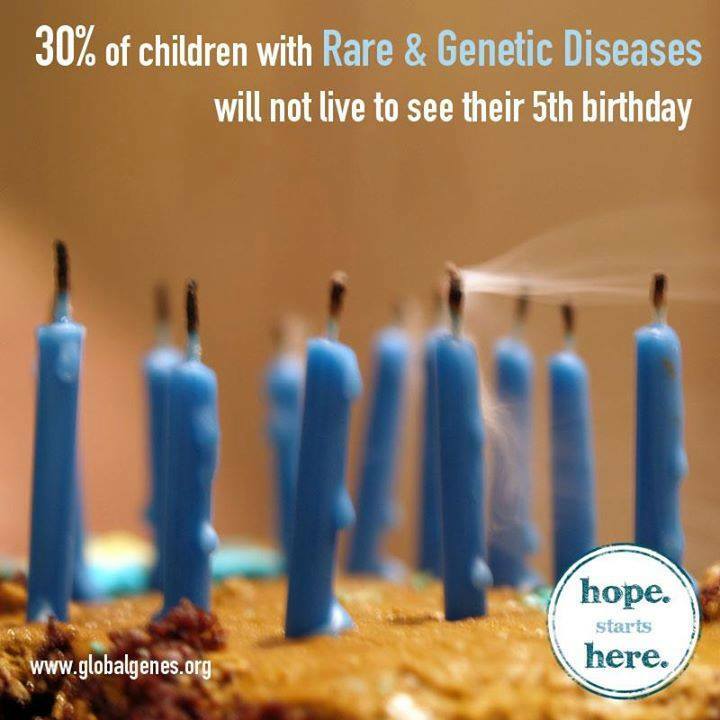 Many children without a diagnosis die before their 5th birthday, so waiting the average 7 years for a diagnosis is unacceptable. What’s worse is finding out your child died from a disease that had treatments available and they could have been saved if a diagnosis had been made earlier. That is just heartbreaking! WE have to do better. WE have to come together for all the children and families searching for answers and cures. We can all make a difference. Spread the word and celebrate Rare Disease Day!